I just updated to Jetpack 1.2 on my site and find that the Site Stats module is broken for Internet Explorer 8 and Internet Explorer 9. It works fine with FireFox 7.0.1. 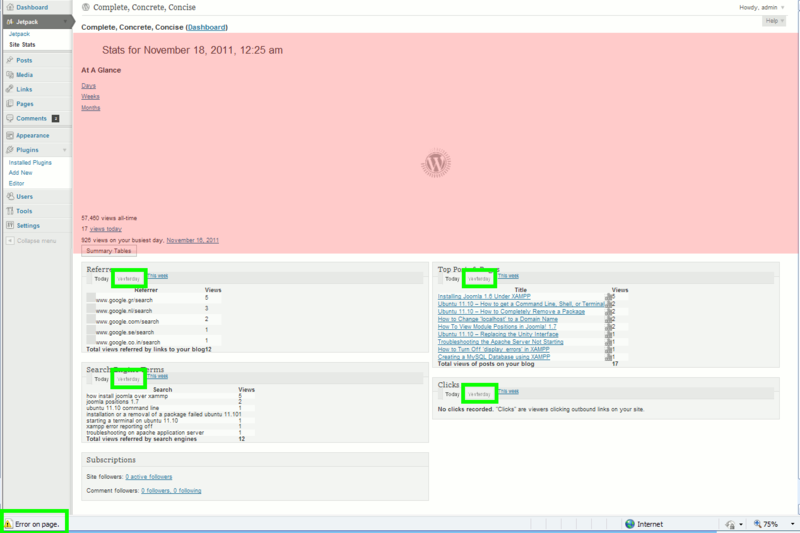 If you use IE 8 as your primary browser (since my main computer still runs Windows XP) or IE 9, I cannot recommend upgrading to Jetpack 1.2. 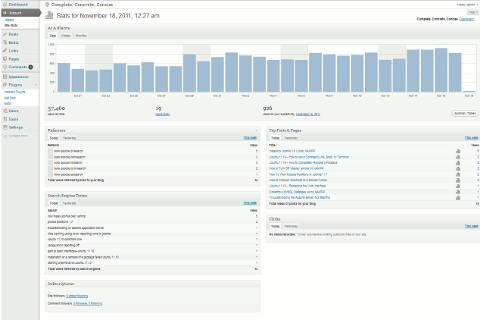 All problems (that I saw) with Site Stats appear to be fixed as of 22-December-2011. Update: Version 1.2.1 was released later today. 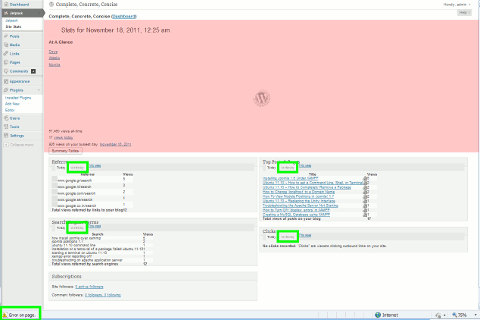 Site Stats is still broken in IE 8 and IE 9. 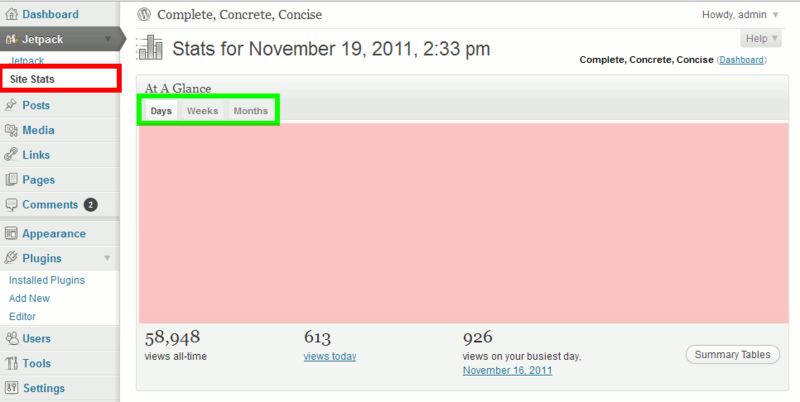 Update (22-November-2011): Site Stats is now displaying correctly. Since I haven’t installed any updates, my best guess is that the Site Stats page was not being generated locally but by on the WordPress server and they have fixed their problems. As well, the bar graph comes up correctly in FireFox 7.0.1. Update (25-November-2011): Site Stats is not working – again. This time, the values it is showing me are incorrect. Most of the stat values are too small (about 1/7th of the expected value) – although, some are too big. As well, the Summary Tables show stats going back to December-2009 – this is impossible, this site only got powered by WordPress in March-2011. sigh. I hope they get this fixed. The At A Glance bar chart displays the correct values (for now). It’s not working in IE9 either. The graph doesn’t display on the stats page since JetPack 1.2 in IE9. It does work in Firefox.